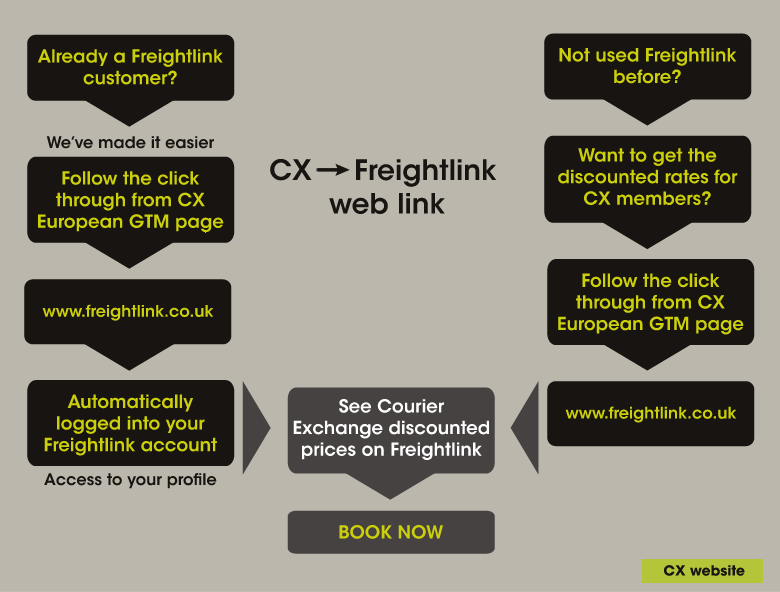 Freightlink are partnered with members of the Courier and Haulage Exchanges to provide service across Europe / Baltic / Adriatic / Mediterranean and Irish Seas. Courier and Haulage Exchange members currently benefit from prices that are up to 15% lower than our usual advertised prices. Our commitment to keeping prices low for Couriers and Hauliers includes no variations in ticket prices at peak times of year (Easter / Summer / Christmas) and no additional charges for payment by Credit or Debit card. This adds substantial value to the subscription that you pay for membership to the Courier and Haulage Exchanges. So, if you need a ferry into or across Europe, and want to arrange your travel with minimum hassle whilst benefiting from a competitive price, why not give us a call? The ferry booking is only part of our service! Look out for special offers exclusively offered to Courier and Haulage Exchange members on the Transport Exchange Group websites.